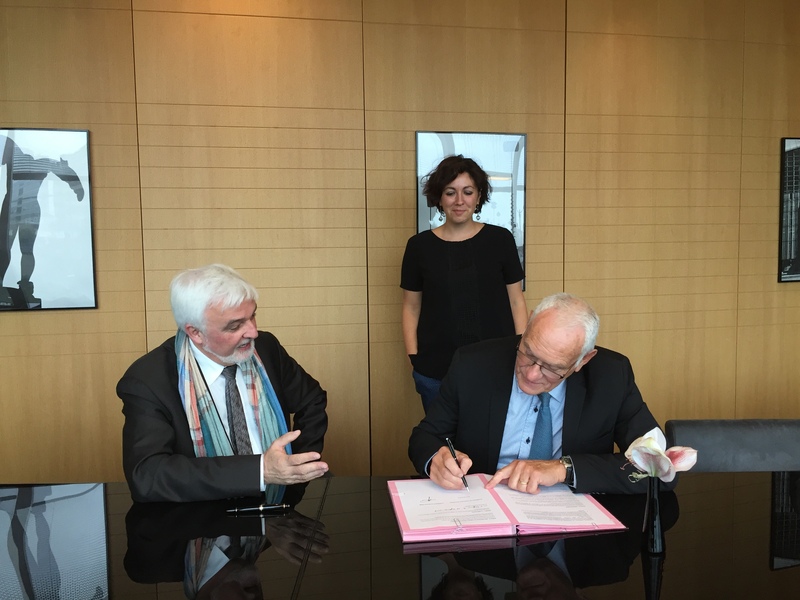 On Wednesday 13 September 2017, the Mediator of the FEVAD (Fédération de la vente à distance et du e-commerce – distance selling and e-commerce federation) Mr Bernard Siouffi signed a partnership agreement with the ENGIE Group’s Mediator Jean Pierre Hervé. The FEVAD Mediation service intervenes only in consumer disputes, namely disputes between consumers, customers of e-commerce retailers and other distance selling operators ( mail order companies for instance) that are FEVAD members. Just like the ENGIE Group’s Mediator, the FEVAD Mediator has been approved as a consumer mediator by the authorities (the Consumption Mediation Assessment and Regulation Commission). This protocol aims to validate the cooperation method between two mediation services for complaints concerning one of the mediators that are referred to the other, and vice versa. This is because a ENGIE Particuliers customer who has subscribed for a service on the Internet could contact the FEVAD Mediator, inasmuch as ENGIE is a member of this trade association. Likewise, insofar as ENGIE Particuliers (the only ENGIE subsidiary falling within the remit of the FEVAD Mediator) regularly develops new partnerships and marketing channels, an ENGIE service taken out with an online retailer could be better handled by the FEVAD Mediator than by the ENGIE Mediator, if this dispute involved the online retailer and its process, for instance. They have promised to compare notes on these subjects on a regular basis. Indeed, the agreement itself specifies an annual follow-up meeting at the very least.